Read back issues of this newsletter and many other articles by Mike on RVtravel.com. Warning: There is a lot to learn here. A lot is happening this week. 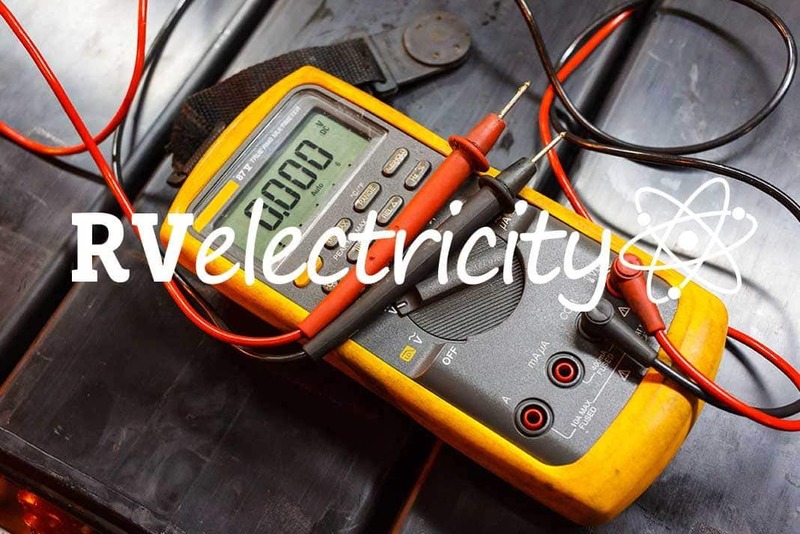 By the time you read this newsletter I will have completed my RV Electricity Seminar at the RVillage 2.0 rally in Florida and be in the process of making the 12-hour solo drive back to Maryland. I’ll post pictures of the rally next week, but I’m sure it will have a great turnout. Also, I had a ton of response from the YouTube radio show I did with Alan Warren from the RV Show USA last week where I discussed Electric Shock Drowning (ESD). Watch my 10-minute segment. I updated the article I first wrote about ESD nearly 2 years ago and reposted it below. I would appreciate it if you would respond to a poll about how many of you RVers also take along a boat on your trips or swim around boat docks. That will be great information, so thanks in advance for taking the poll. And my hot dog ketchup/mustard poll two weeks ago was a huge hit, with almost 2,700 of you answering the call. This has inspired my latest Road Signs piece which I’ve titled “You Are What You Eat.” Yes, Road Signs isn’t about actual Road Signs, as a savvy reader once pointed out to me. It’s just about things I’ve observed or think about while I’m driving solo across the the country, or perhaps mixing a concert. Yes, I do admit to getting a little bored at times so I often write entire essays in my head to keep my mind occupied and not fall asleep while working a show. Speaking of not falling asleep, I challenge any of you to fall asleep in one of my RV Electricity seminars this summer and fall. There are a lot of things to cover in my 1-hour basic seminars and 3-hour advanced clinics. I guarantee you’ll get your brain packed full of important and useful electrical knowledge when you attend one. With that in mind, HERE is a link to my seminar schedule for this summer and fall. Hope to see many of you at one, including my advanced 3-hour clinic on RV Electricity troubleshooting in my hometown of Funkstown, MD. (SEE DETAILS BELOW). Seriously, that’s where I live. And how cool is that? Cue Funkytown. P.S. And just a quick note that this newsletter is made possible by the voluntary pledges of the readers of RVtravel.com. We could not bring this to you without their support. If you deem what we provide to you here and at RVtravel.com to be of special value and would like to be a part of our effort, please consider pledging a voluntary subscription. More information is here. 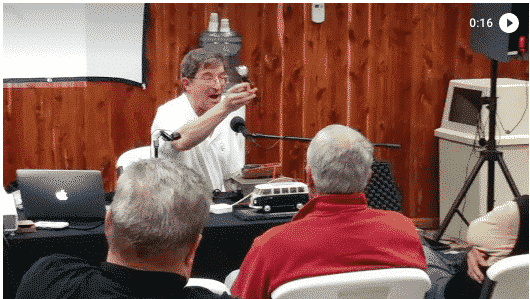 Mike Sokol will kick off a national seminar series about RV electricity on June 8 just outside Hagerstown, Maryland, sponsored by RVtravel.com. He will teach two classes about RV electricity — a basic class in the morning followed by an advanced class in the afternoon. Read more about the seminars and let us know if you are interested in attending in person or via a live stream. RVtravel.com members receive a special discounted rate. Honda recalls 200,000 inverter generators for potential fire hazard! Honda has recalled 200,000 inverter generators sold between February 2018 and February 2019 because they can leak gasoline from the fuel valve, posing a fire hazard. Honda has received 19 reports of gasoline leaking from the fuel valve, but the Consumer Product Safety Commission hasn’t received any reports of injuries associated with the generator. Honda is asking owners of the recalled generators to stop using them and contact an authorized Honda power-equipment dealer to schedule a free repair, which involves replacing the fuel valve. “Due to the complicated nature of replacing the fuel valve, this is a repair that can only be accomplished by an authorized dealer,” says Davis Adams, communications manager for Honda’s power-equipment division. I’m doing a study to help determine the number of RVers who could be exposed to ESD (Electric Shock Drowning). How many of you take a boat along on your camping trips or swim around boat docks that have electrical power? For a little more information, HERE is what I wrote about ESD two years ago, and HERE is what the NFPA (National Fire Protection Association – writers of the National Electrical Code) say about it. More on that topic in my next RV Electricity issue, so stay tuned. There isn’t much you need for your RV that Camco doesn’t have. If you think we’re kidding, then click through to the Camco store on Amazon where you’ll find some of their best-selling products — all for your RV or for you to make your RVing better. Click here and you’ll feel like a kid in a candy store. Do you have all of your updated medical information and directives in an easily accessible place in your RV? Hmmm… Only 16% of those responding to last month’s survey have all their medical information up to date and easily available for emergency personnel to access. We all need to work on that and get better at it. Consider the fact that when you’re camping you’re much more on your own than when you’re in your sticks-and-bricks home. That means you can’t count on your neighbor of 20 years to tell the EMT about your heart condition, and you may even have difficulty telling the 911 operator your exact location in a park that’s way out in the woods. I’m going to talk to a few of my EMT colleagues and see if they can recommend a series of articles we can publish on RV Travel that will make your RV traveling safer. I’m sure it’s going to include keeping your medical information up to date, as well as listing all your medications, doctors contact information, etc. Then we’ll circle back next year and try another survey to see if we’ve helped. Learn more or order at Amazon. • Why did my shore power plug neutral burn up? 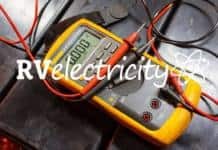 • Does a construction generator provide clean AC power? • What’s a modified/stepped inverter? • Do I need a 30- or 50-amp surge protector? • An easy way to measure 50-amp outlets. Here are more than 1,000 special deals, just for today. And the items just keep on changing. If you can’t find a great deal here on something you want, then, well, you must not need anything. If nothing else, it sure is fun to poke around here to see the incredible array of cool stuff that’s available today at bargain prices! Click here for today’s deals! Surge protector – Yes or No? Q: I’m sure that this has been discussed somewhere in the Jayco Owners forum in the past. In 40 years of RVing in motorhomes, travel trailers, and now our 5th wheel, I have never used a surge protector and have never had a problem that required its usage. I have spoken with numerous fellow RVers who say that they’re a waste of money and a few who think I am foolish not to be using one, I would appreciate “your” opinion on this matter. Thank you. We felt the same way until the introduction of all the new electronics in RVs. Because of that, along with the fact that many campgrounds are being overloaded with multiple a/c units and associated voltage drops, I bought my first one about 15 yrs ago. They have reacted based on low voltage numerous times. I think that Grumpy is spot on. A few decades ago RV power usage was much less and RVs had fewer electronics. However, modern RVs are power hungry and often loaded with all kinds of sensitive electronics. So while a short over-voltage incident might have burned out a few bulbs back in the ’70s or ’80s, that same voltage surge could easily take out a lot of very expensive appliances in your new RV. Don’t leave home without some sort of Intelligent/EMS surge protector on your RV. RV Electricity editor Mike Sokol is America’s leading expert on RV electricity. He has taken his 40+ years of experience to write this book about RV electricity that nearly anyone can understand. Covers the basics of Voltage, Amperage, Wattage and Grounding, with additional chapters on RV Hot-Skin testing, GFCI operation, portable generator hookups and troubleshooting RV electrical systems. This should be essential reading for all RVers. Learn more or order. Since my recent survey on whether to have ketchup or mustard on your hot dog/corn dog went BIG a few weeks ago, I’ve been revisiting the concept of comfort food and why we crave it. In fact, Diane (my long-suffering [not true –D] copy editor on RVtravel) and I just had a discussion about Campbell’s Pork & Beans with cut-up hot dogs (dog medallions, if you will). And sure enough, Diane said it was a favorite childhood treat just like my own experience with this starchy, over-salted, too-sweet, gooey mess. But we both love it because of our childhood experiences. Alexander Graham Bell is best known for inventing the telephone. But here’s a little something to chew on: He once taught a dog to talk. No, we’re not kidding! Here’s the story! This website utilizes some advertising services. 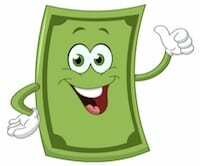 Sometimes we are paid if you click one of those links and purchase a product or service. Regardless of this potential revenue, unless stated otherwise, we only recommend products or services we believe provide value to our readers. Amazon and the Amazon logo are trademarks of Amazon.com, Inc. RVtravel.com is a participant in the Amazon Services LLC Associates Program, an affiliate advertising program designed to provide a means for sites to earn advertising fees by advertising and linking to Amazon.com. This newsletter is copyright 2019 by RVtravel.com. Previous articleTechnician Training (or lack thereof)? I enjoyed your seminar at RVillage Rally 2.0. Great info presented in an understandable and entertaining format. Thanks very much. Did you like my cool desktop demonstration pedestal with the variac transformer that makes 250 volts AC from a regular wall outlet? Too much fun, eh? Hi Mike, unfortunately your schedule for upcoming classes conflicts with our schedule. You are not too far from us, could my husband and I schedule a private class? Contact me at mike@noshockzone.org to discuss. Mike, is there a book out there that covers wiring a truck camper from start to finish . The camper is all new construction. Any help would be helpful. I’ve never seen one, but I’ll keep my eyes open. Oscar Meyer was looking for someone to drive the weiner mobile. I have all the qualifications but I don’t do hot dogs due to the chemical contents. In January they came out with a hot dog that is organic. 6 ingredients no chemicals. Nuts. But if it ever comes up again? I definitely would drive for them this time around. You can apply every year. Good day Mike: Just a passing tho’t on turning pedestal breakers off before hookup and leaving them off after disconnect. Maybe the Voltage Patrol could put a sticker or decal on the inside of the box as a reminder – something with lightning bolt and “Turn off Breakers”. I have always done this just because I fear electricity – especially in the rain! I the silicon tape is much like Rescue Tape- which I’ve been using for years. It also comes in many colors. I could not find your updated article on ESD. Sorry, I had to delay it until next week. I just spent 3 days doing a seminar in Florida for the RVillage Rally on Saturday and just ran out of time. So many articles, so little time. I thought that i saw something somewhere where you commented on induction cooktops but I cannot find it. Am I dreaming? Can you provide a link if so? I enjoy your articles and information very much. Diane, thanks for having my back. (Yes, I was sleeping). And Robert, thanks for your comment. I really appreciate it.